Human babies are well known for the trials and tribulations that they can put their parents through. However, very few people to choose to adopt a new puppy realise that they may have some teething trouble of their very own! 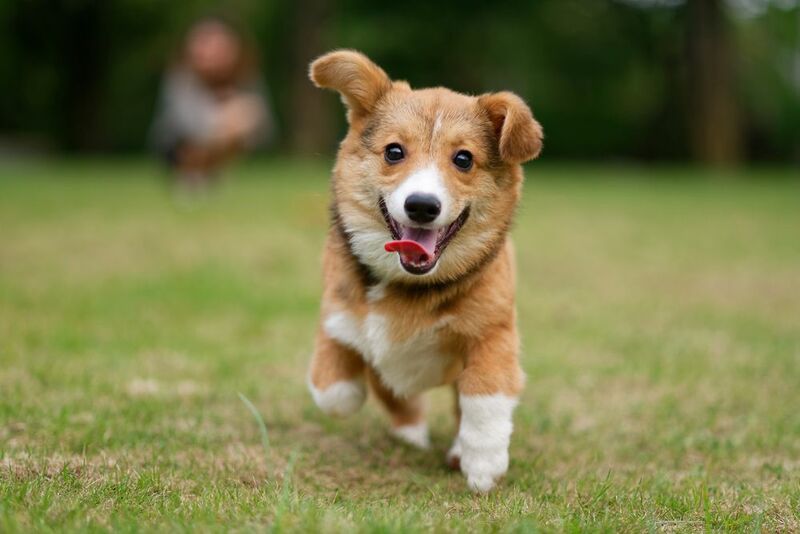 Puppies, like human children, will have two sets of teeth during their lifetime, the first of which come in during the first few weeks of their life. By six weeks old your puppy should have around 28 teeth, which will help him make the transition from milk to moist, soft puppy food. However, between the ages of four to six or seven months, your canine companion will go through the teething process which will see him lose all his ‘infant’ teeth, and instead gain around 42 ‘adult’ teeth. These are the final set of teeth that he will get, and so you will need to ensure that they last him for the remainder of his lifetime. The main problems with canine teething is exactly the same as that of a young baby – it is a painful process – and much like human children, chewing and biting can help to alleviate a lot of that discomfort. Most pet parents of teething puppies report that they see a huge increase in the amount of chewing and biting that their puppy does, and this can cause a couple of different problems. Firstly, although chewing is essential if your dog is to develop health, strong teeth, and can help keep their mind busy, it can also be an extremely destructive behavior trait, particularly if it gets out of control. Puppies who are in pain from teething may not be at all fussy about what they chew so long as it eases their discomfort, and this can mean that furniture, shoes, tv remotes … anything they can get their jaws around is fair game. One of the main reasons for this is the fact that the act of chewing actually causes their brains to release a chemical that distracts them from the pain they are experiencing, making it feel less potent. Secondly, teething puppies may be more likely to nip or bite the humans or other animals in your family. This is rarely meant as an act of aggression, but it a problem that needs to be stopped immediately to prevent anyone from getting hurt and the situation from damaging the relationships between your puppy and other people living in or visiting your home. Thankfully, there are things that you can do to help your pet find relief from his pain, while also training him which behaviors aren’t acceptable in your home. One of the best things that you can do to support your furbaby during the teething process is to provide him with things that he can safely chew without being reprimanded. Wherever possible, choose purpose-designed chew toys. This is much less confusing than giving him an old shoe to chew, which he could easily confuse with a newer one that you want to keep intact! There are a huge variety of chew toys available on the market, and it may be a process of trial and error to find one that your pup enjoys. A newer development is chew toys that contain a special area where you can poke treats for your pet to try and get out. These toys are a great way to mentally stimulate him, helping to distract him from the pain his teeth are causing, plus rewarding him for choosing an appropriate item to chew. When training your pet, simple, one-word commands are infinitely more successful as they are easy to hear and understand. Teaching your pup to ‘leave’ something allows you to immediately communicate that the behavior is unacceptable. The easiest method of teaching this command is to use a game of tug with a preferred toy. Play tug with your pup for a couple of minutes. Then stop, say ‘leave’ in a firm, clear voice, and offer a treat in your other hand. Your dog should then drop the toy in favor of the treat. Reward him with the treat and verbal praise, then play again. Doing this a few times a day will help your furbaby to associate following the instruction of ‘leave’ with a reward, making him much more likely to adhere to this rule and drop anything he may be chewing. Many puppies perform most of their destruction when left unsupervised. Therefore, when your pup is teething, you may want to make arrangements for a safe space for him when you aren’t at home. Most owners opt for a temporary period of crate use, whereby they place their dog into a large, comfortable crate when they are at work and/or during the night. This serves to keep your pet safe from hazards, as well as your belongings safe from your pup’s teeth. Crate training is a process of gradual exposure, encouraging your puppy to first go near, and then in to the crate using a combination of praise and rewards. However, dogs are naturally den animals, liking small, dark spaces that they can claim as their own, and so most pups will adjust to spending time in a crate in a very short space of time. Don’t let puppy teething get you or your furry best friend down. Use some of the tips listed here and to hesitate to contact and seek further advice from your veterinarian.